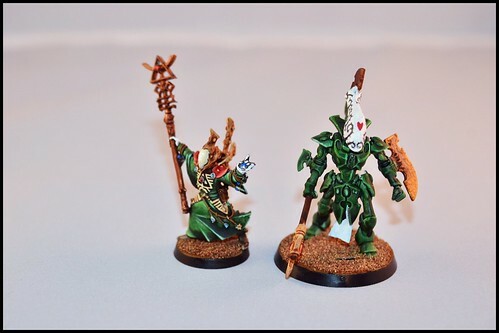 The new wave of Eldar models and codex came out this week from Games Workshop and I just couldn't resist. 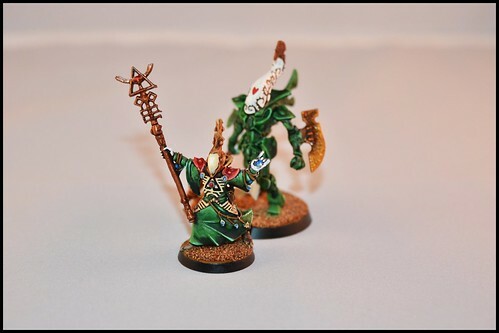 The Eldar were actually the first 40k miniatures I collected and painted when I first started painting that scale as a teenager. It was kind of cool and nostalgic to spend a Sunday evening painting up some of the new Wraithblades and a Spirit Seer. It also gave me the perfect opportunity to practice some more freehand.